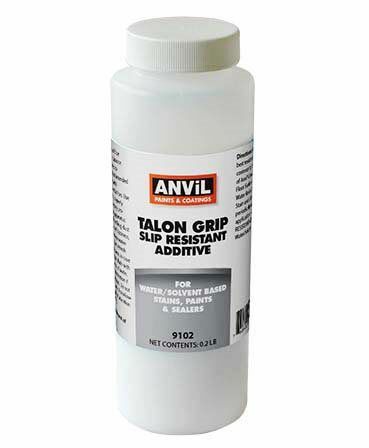 Anvil has developed and perfected the art and science of clear sealer technology for concrete surfaces. 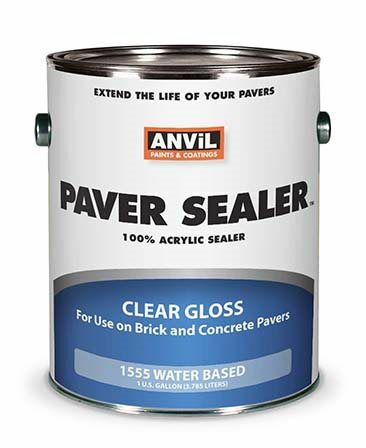 Installed by professionals and DIY'ers across America, Anvil Clear Sealers are protecting concrete both in interior and exterior environments. 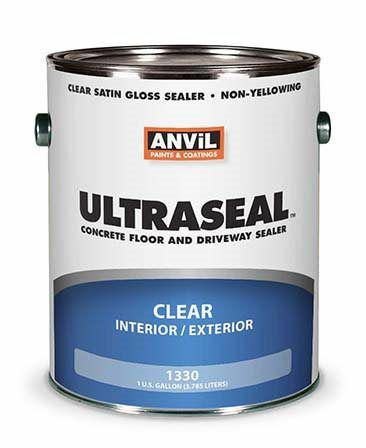 Anvil has clear sealers for uncoated concrete and stained concrete. Explore the five uniquely durable, protective, beatifying clear coat sealers we offer. A waterbased, non-yellowing clear coating for glazing and sealing exposed stone surfaces. Delivers a medium gloss when applied to a properly prepared surface and is highly resistant to the effects of hot automobile tires and water blushing. It is formulated for use on exterior/interior stone and concrete surfaces such as patios, walkways, decks, decks and sidewalks. Formulated to be resistant to mild automotive chemicals, oil, grease and gasoline. Its’ durable acrylic formula also resists fading, scuffing, cracking, peeling and blistering. Light tan color in the can, but dries crystal clear. 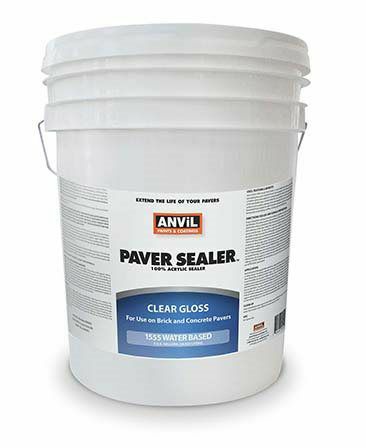 A water-based, non-yellowing clear coating for sealing concrete paver surfaces. Formulated for use on exterior/interior pavers and concrete surfaces such as patios, walkways, decks, decks and sidewalks. Resistant to mild automotive chemicals, oil, grease and gasoline. Durable acrylic formula also resists fading, scuffing, cracking, peeling and blistering. Durable acrylic formula also resists fading, scuffi ng, cracking, peeling and blistering. A chemcial resistant urethane coating that exhibits excellent wear and abrasion resistances and U.V. stability. The film build, gloss and chemical resistance are comparable to solvent based systems, yet without the intense odor associated with themor the high VOC levels. Breakthroughs in new water-based technologies allow us to produce a poduct that is much higher in solids and film build. This allows the applicator to use the product during normal business hours where customers or neighboring tenants won’t be disturbed by an offensive solvent odor, yet not sacrifice any of the physical properties. 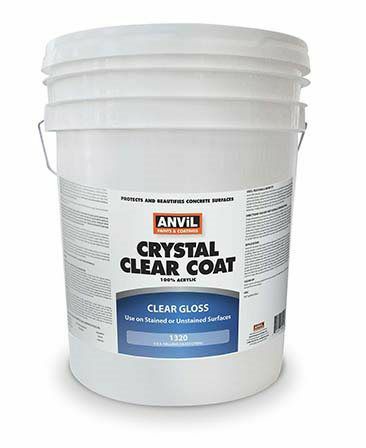 Low odor, non Flammable, VOC compliant, outstanding chemical resistance and excellent gloss retention make it the perfect clear top coat over properly installed Anvil 1500 Acrylic Concrete Stain, Anvil 2300 Semi Transparent Concrete Stain or Anvil 1700 Epoxy Show Coat Concrete & Garage Floor Coating. A water-based, non-yellowing clear coating for sealing concrete, pavers, Chattahoochee and exposed aggregate concrete, residential driveways, walkways patios and decks. Delivers a satin sheen when applied to a properly prepared surface and is highly resistant to the eff ects of hot automobile tires and water blushing. Formulated for use on exterior/interior surfaces. Milky white color in the can, but dries crystal clear. Specially formulated using styrene acrylic resins for use on unpainted horizontal concrete and asphalt surfaces such as driveways, garage floors, patios, walkways, decks and sidewalks. It is low odor, water reducible and nonflammable. Provides a hard satin gloss finish that is water resistance with good resistance to most solvents and some chemicals, as well as oil and gasoline spills. A high resin formula for bare horizontal concrete surfaces, but NOT for use on wood, brick pavers, stamped concrete, epoxy or polyurethane caoatings. Specially formulated with an aliphatic urethane acrylic co-polymer that provides excellent cleanability and stain resistance. Low odor, water reducible and non-flammable. It provides a clear high gloss protective topcoat on fully cured concrete, previously coated and painted floor surfaces. Used as a clear coat in general light duty industrial and commercial plants, residential and over fully cured latex, oil, and xylene, coated surfaces. Excellent gloss retention and non-yellowing in both interior and exterior applications. 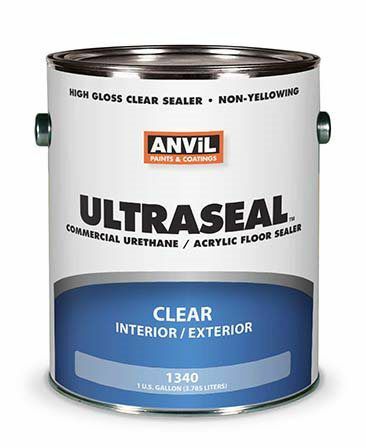 Brush, roller or spray in both horizontal and vertical applications can be successfully achieved with UltraSeal #1340. 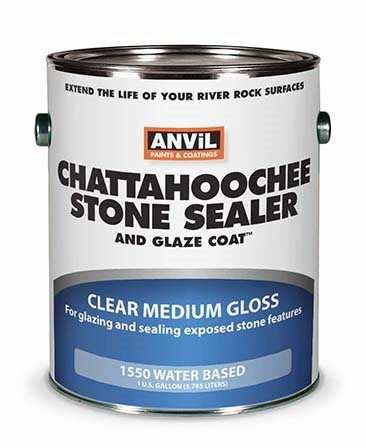 Anvil 1550 100% Acrylic Chattahoochee Stone Sealer is a waterbased, non-yellowing clear coating for glazing and sealing exposed stone surfaces. 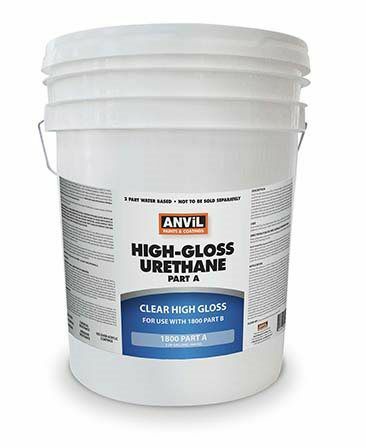 Anvil 100% Acrylic Chattahoochee Sealer delivers a medium gloss when applied to a properly prepared surface and is highly resistant to the effects of hot automobile tires and water blushing. It is formulated for use on exterior/interior stone and concrete surfaces such as patios, walkways, decks, decks and sidewalks. Also, Anvil 1550 100% Acrylic Chattahoochee Stone Sealer is formulated to be resistant to mild automotive chemicals, oil, grease and gasoline. Its’ durable acrylic formula also resists fading, scuffing, cracking, peeling and blistering. Light tan color in the can, but dries crystal clear.